Google Adsense has introduced Expandable Ad Units for it’s publishers. New expandable ads won’t enlarge on their own or with a simple mouse-over; The ads will expand only after a user clicks and interacts with the ad. 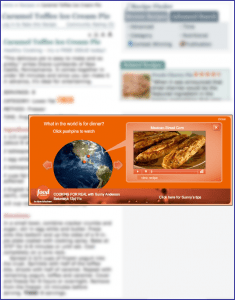 Adsense publishers who want to use this new feature would need to enable image ads in their AdSense account. According to the Adsense blog, expandable ads are rich media ads that can expand beyond the original size of the ad unit, following a user-initiated action. Expandable ads may stream a movie trailer, show video game clips, or display various views of an item for sale. And like other Google ads, publishers earn based on whether the expandable ads on their site are priced on a cost-per-click (CPC) or cost-per-impression (CPM) basis. Publisher’s will generate earnings from CPC expandable ads when a user visits the advertiser’s landing page, and not when a user simply clicks to expand the ad.